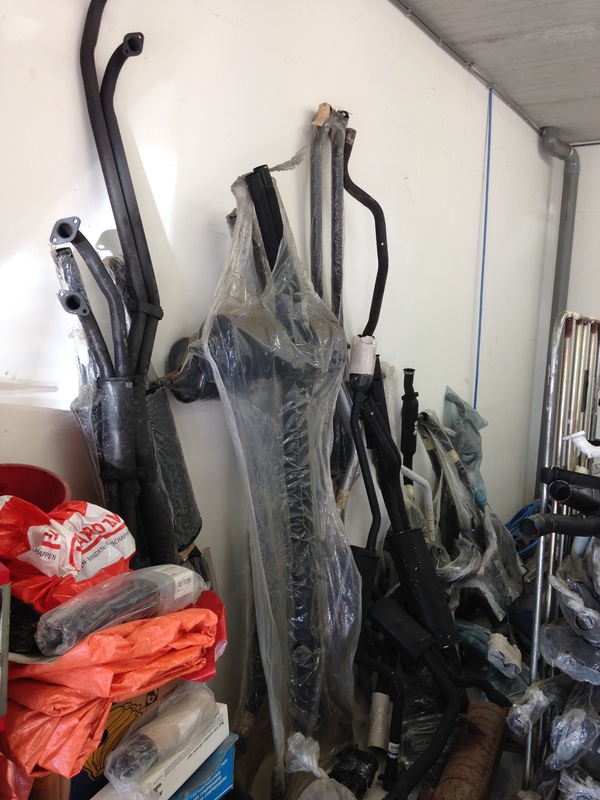 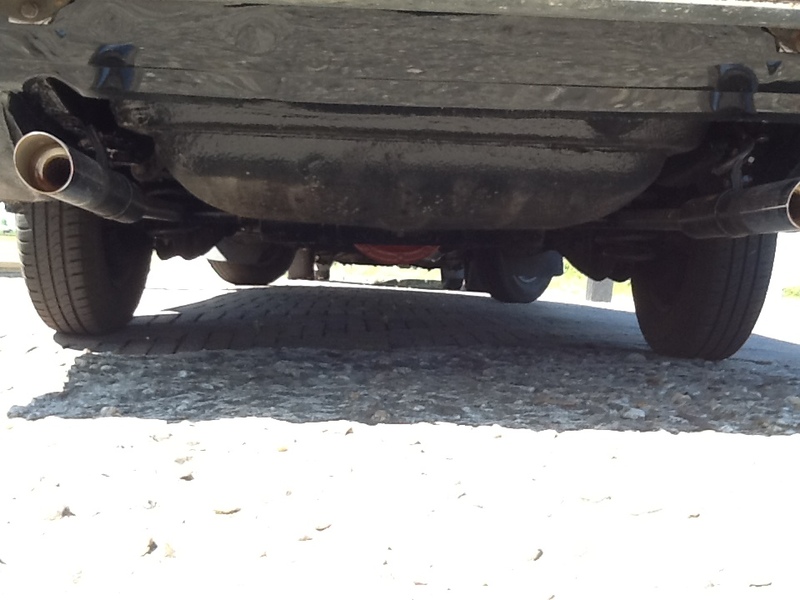 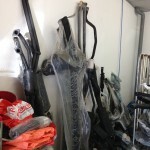 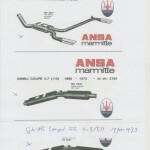 We now have an original ANSA endmuffler for a Maserati Mexico/Sebring for sale. 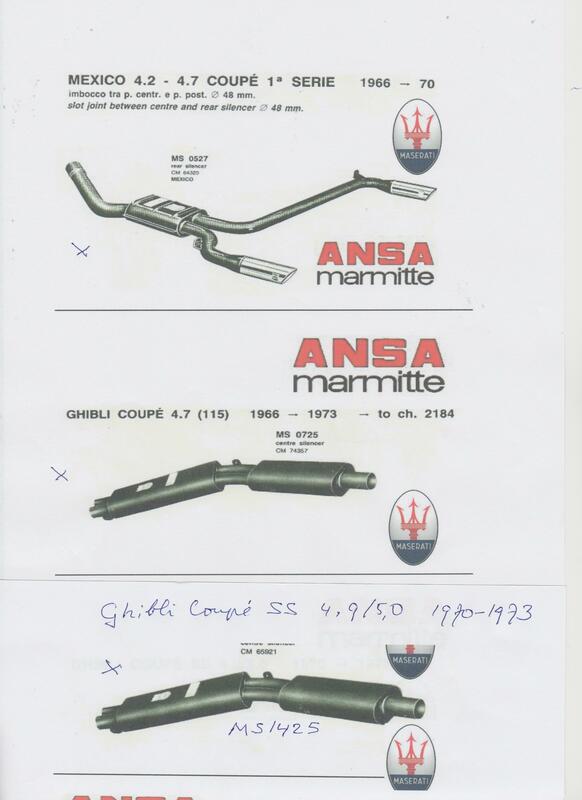 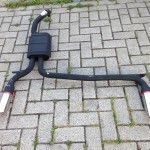 We now have in our programm several original ANSA exhaust and manifolds for makes like Fiat Coupe-Barchetta, Fiat 128 manifold, Fiat Uno Turbo i.e. 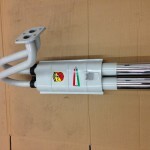 Maserati Mexico-Sebring, MG B, Opel Kadett C and E 1800-2000 GSI, Datsun 280ZX, Mini-Rover 1,3, Porsche 356/912, Porsche 911 2.7, Porsche 2.0-2,2-2,4 Competizione Racing exhaust. 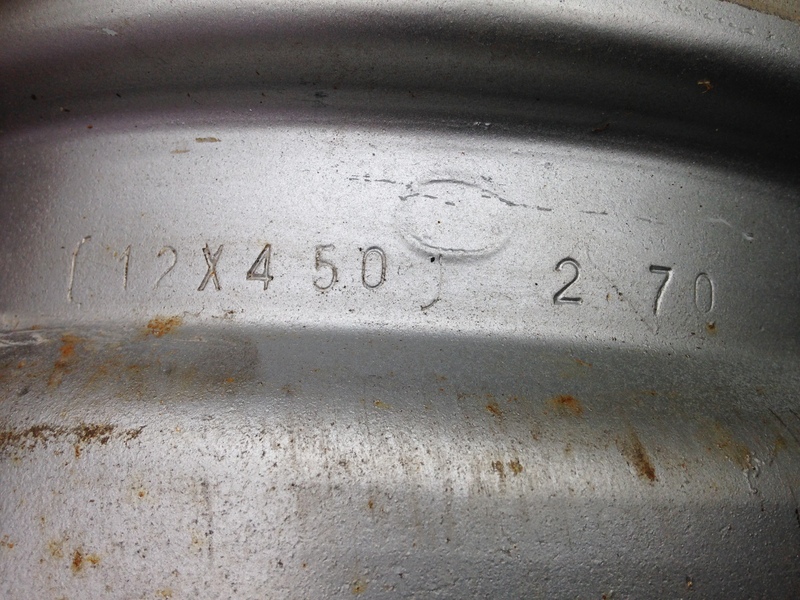 And also several ANSA endresonators(round and square) in different incoming diameters. 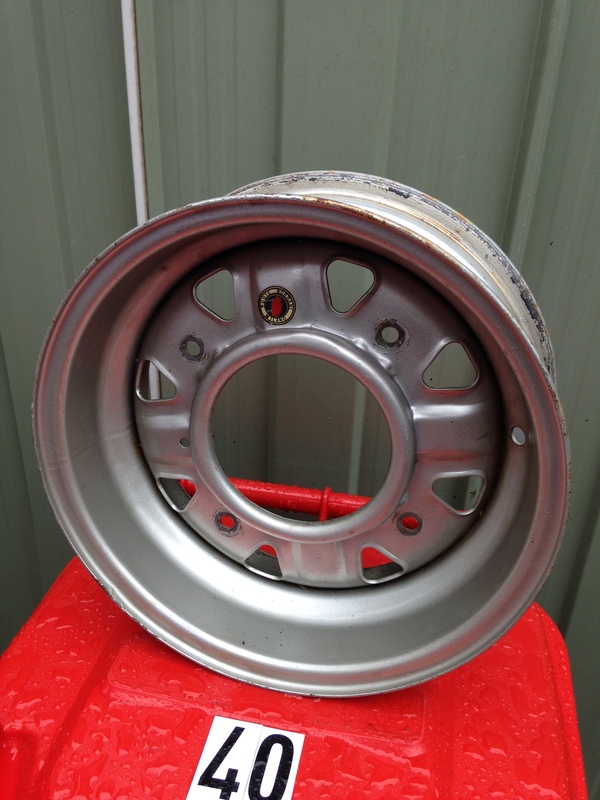 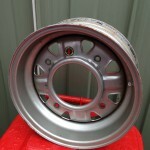 To weld on! 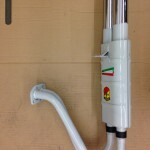 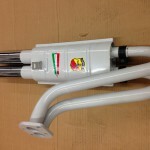 We now have in stock a replica Abarth exhaust for the Fiat 1300/124. 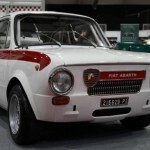 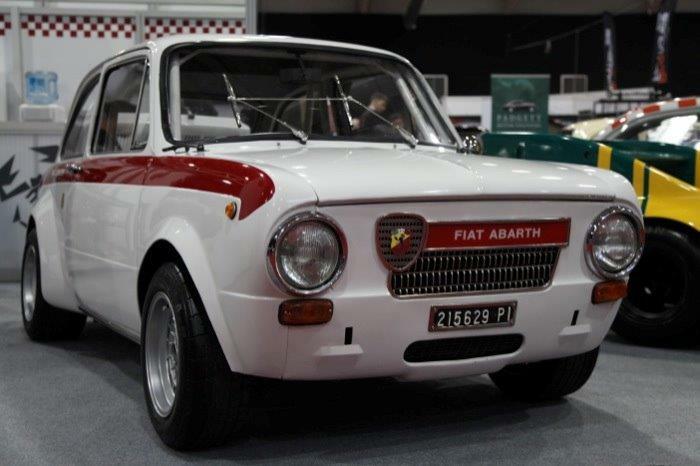 Here is a SOUNDCHECK of the beautiful double(L+R) ABARTH cpl. 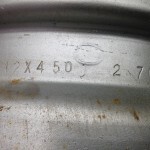 exhaust from a Volvo 144S/1970. 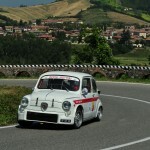 It is a spectacular sight and sound. 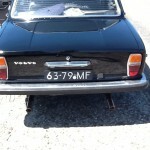 Price per set € 495,00 Sold!! 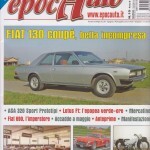 We already published that we were present at the Techno Classica in March 2014 on the stand of Kampf-Der-Zwerge.com in the Galleria. 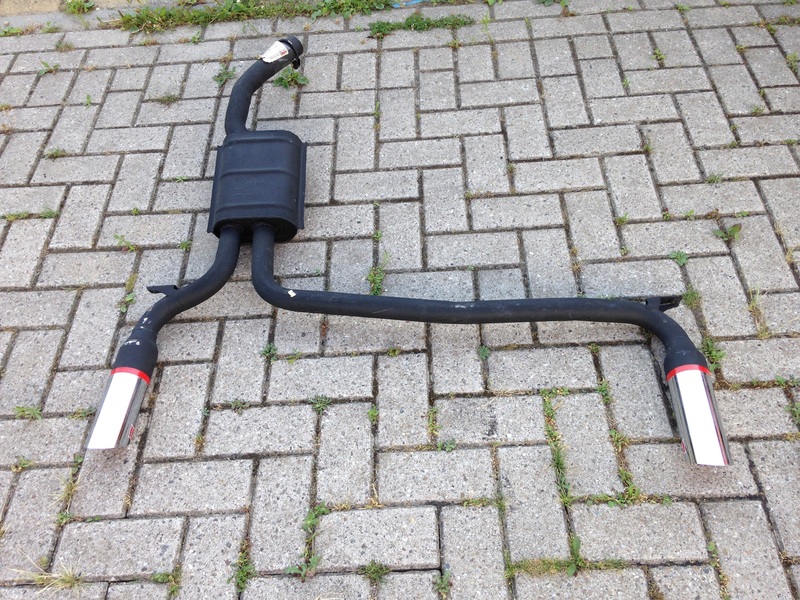 Lots of interst for our featured exposed racingcars and of course also enthousiastic stories from our customers who have mounted their original Abarth exhausts und their cars. 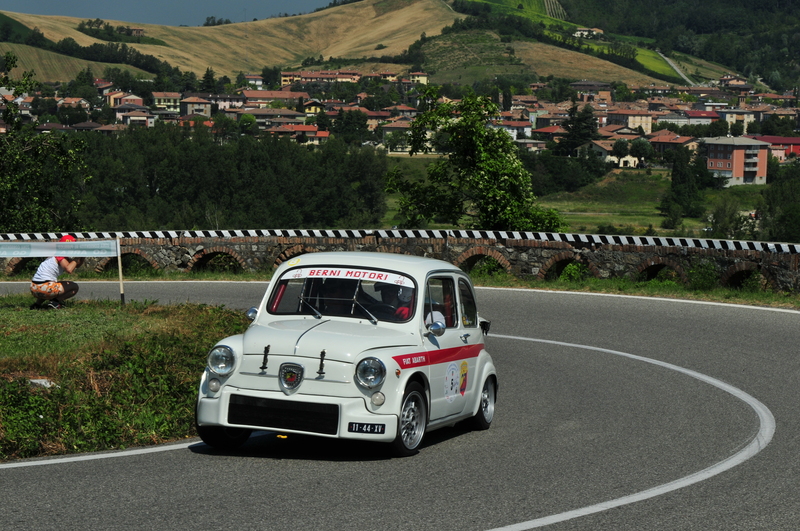 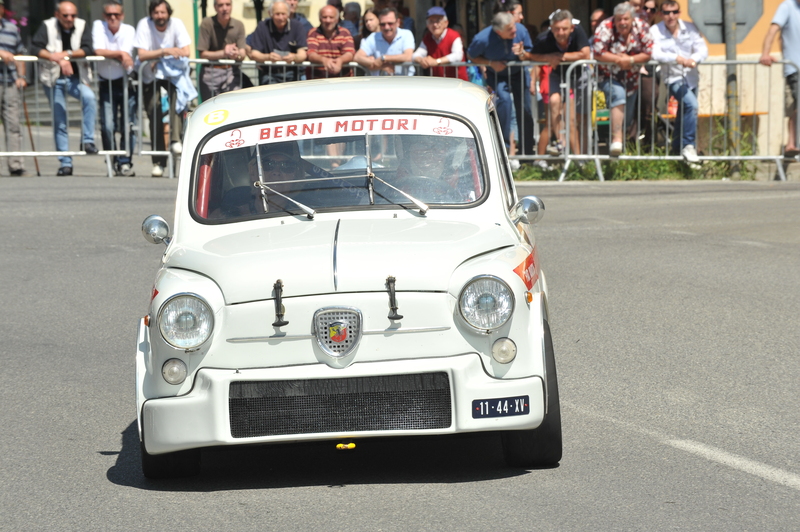 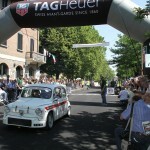 In June we will be present at the famous historic hillclimb “Silver Flag”at Castell Arquato and one week later at the 5th Historic ABARTH Trackday at Franciacorta near Brescia on Friday the 27th of June 2014 organised by Berni Motori and Fiat Franzoni Auto and RIA Italy. 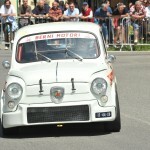 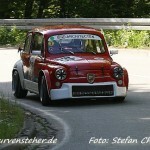 Maybe also present at the Nave-Caino-San Eusebio Hillclimb north of Brescia in the same weekend! 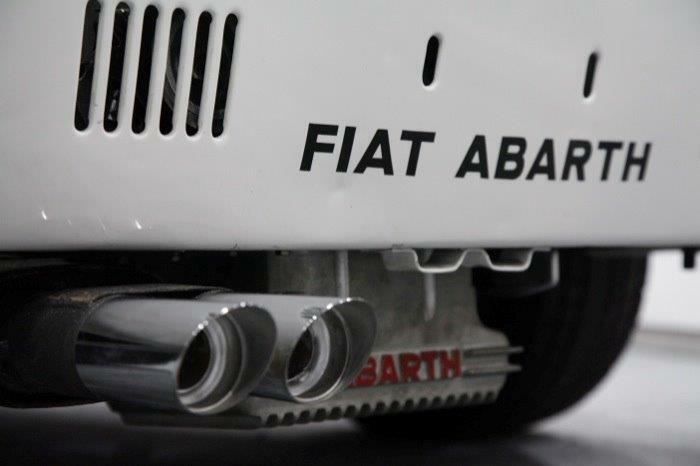 The well-know Fiat-Abarth specialists Middle Barton Gargae from England have mounted this very special Abarth endmuffler with twin entrance pipes and 34 mm inside endreonators under a Fiat-Abarth 1600 OT from 1964. 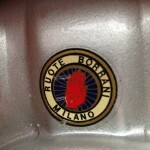 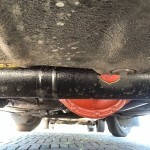 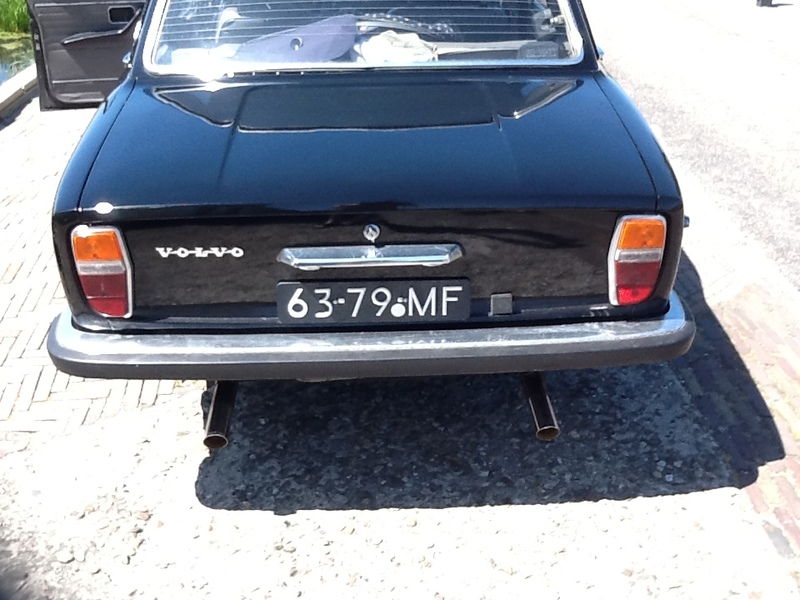 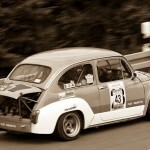 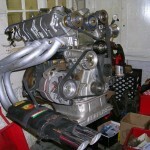 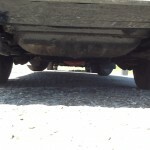 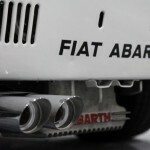 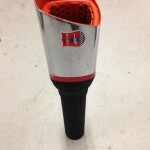 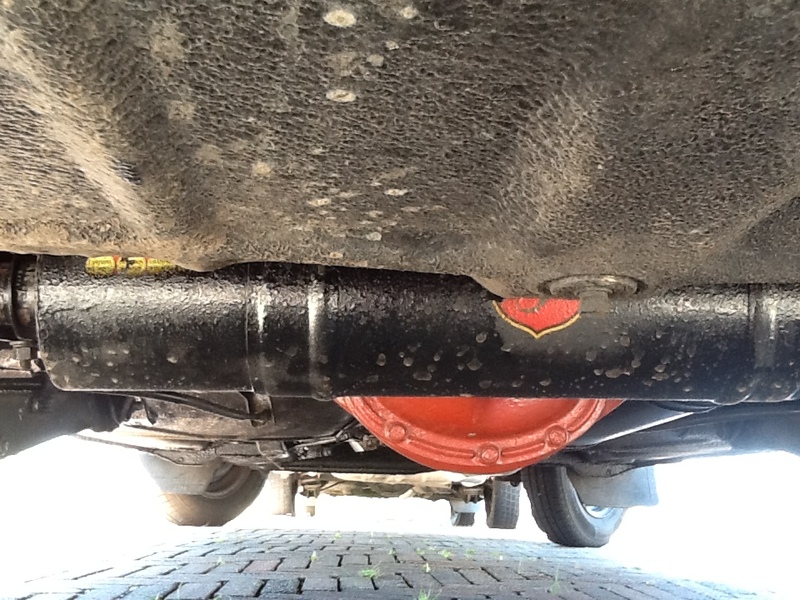 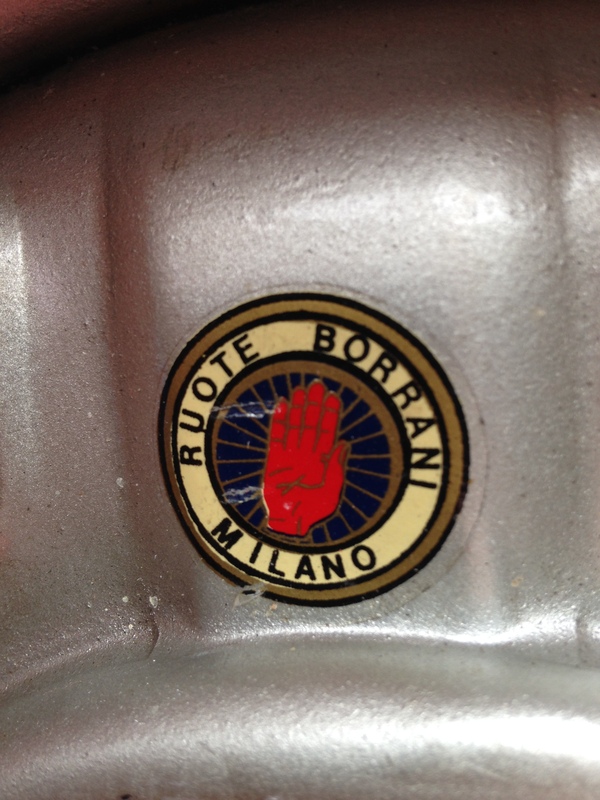 It must now go like a rocket and the sound must de awesome with this original Abarth exhaust. 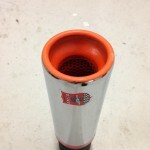 We still have some examples in stock! 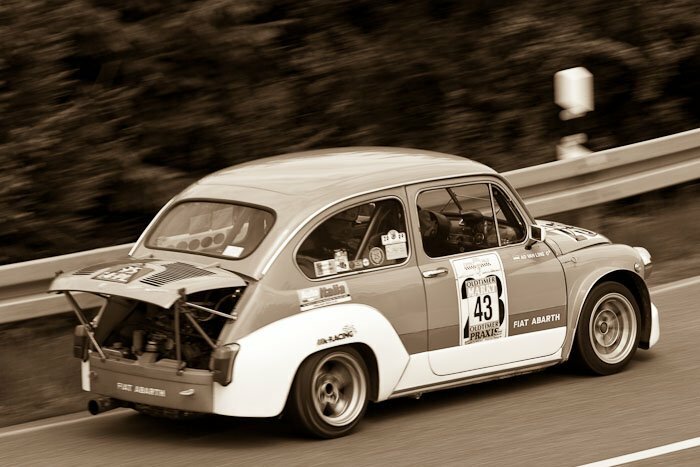 After attending in September 2013 the Volvo Klassiekerbeurs at Rosmalen(NL) and in October 2013 the Auto Moto d’Italia show, we will be attending the famous BREMEN CLASSIC MOTORSHOW from the 31st of Januari 2014 till the 2nd of Februari 2014. 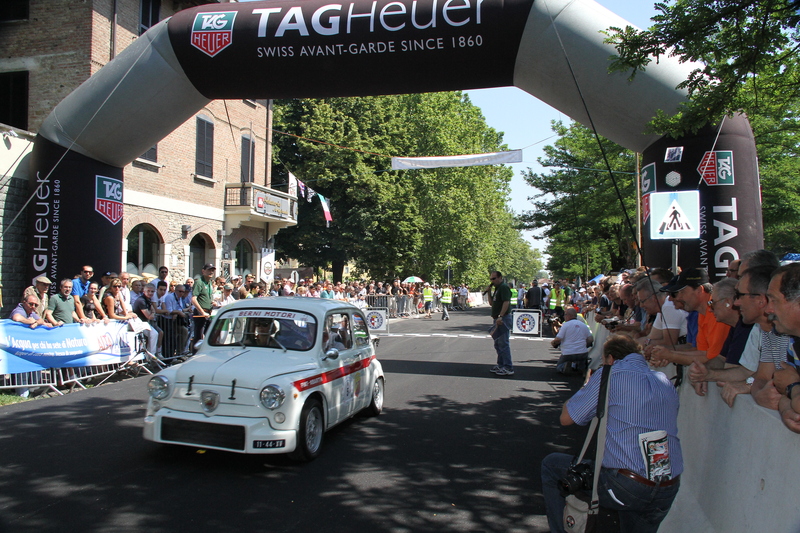 We are present on the “Kampf der Zwerge” stand, together with Abarth Coppa Mille, British Car Trophy and NSU TT Trophy racers. 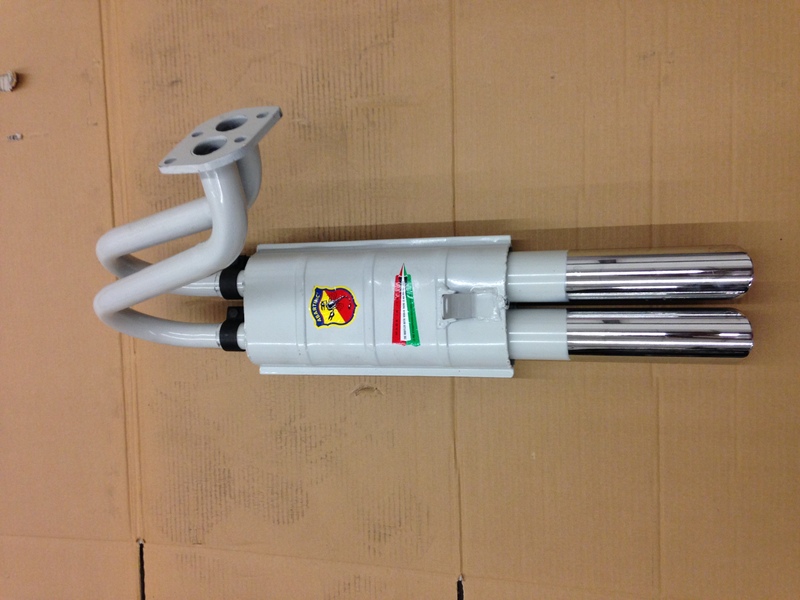 Come and visit us and we wil try to answer all your questions about our Abarth exhausts-programm. 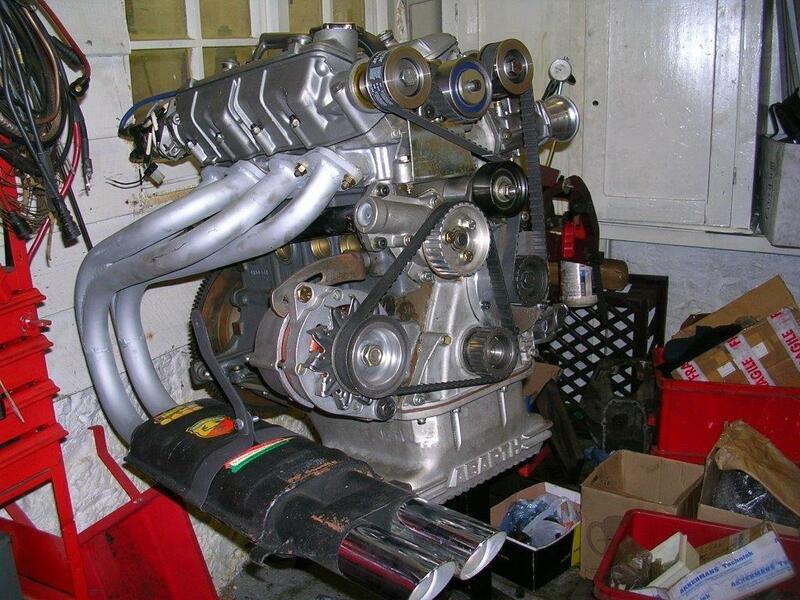 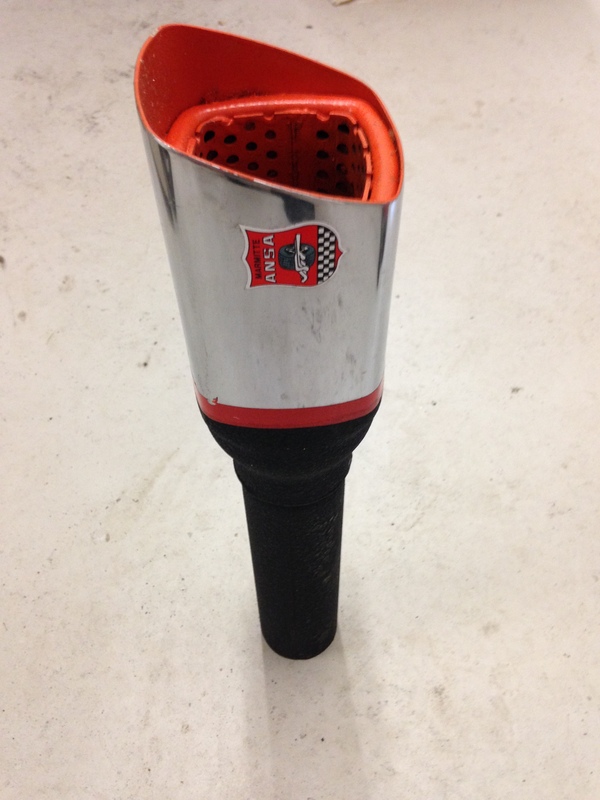 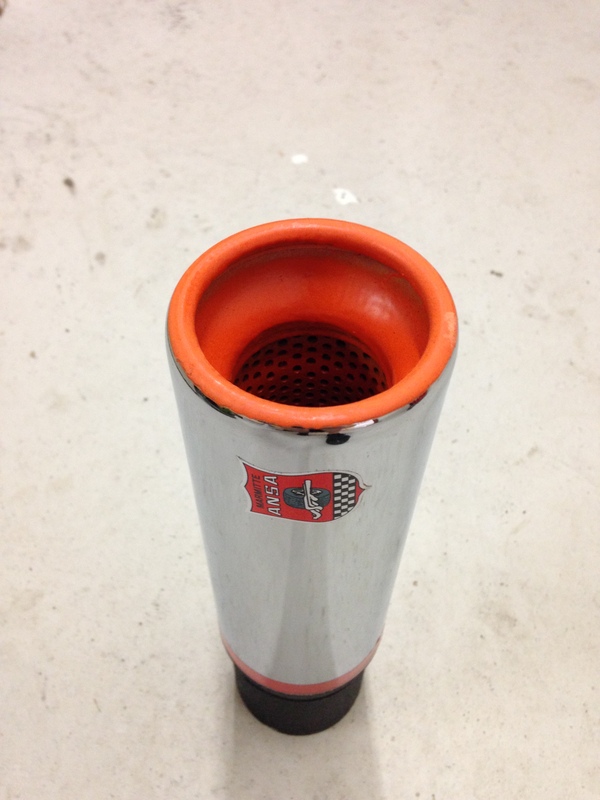 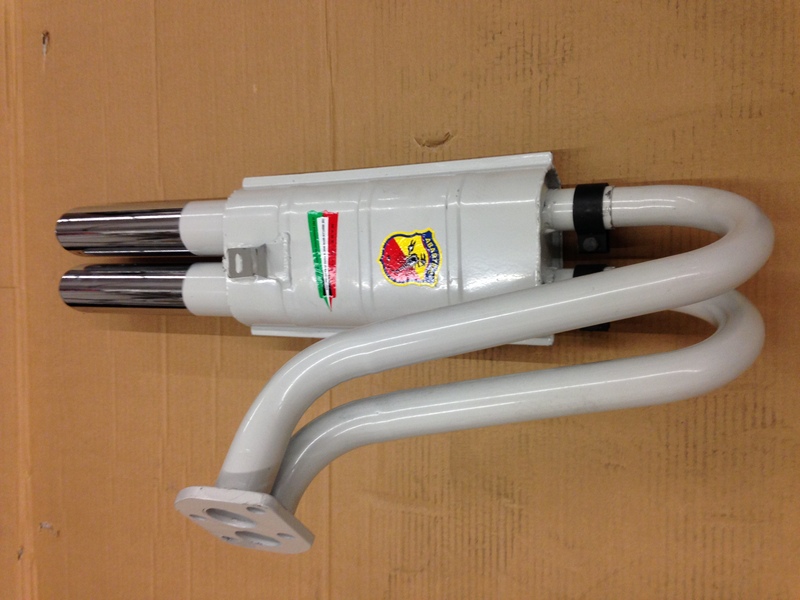 We now have added a soundcheck of an ABARTH exhaustsystem Abarth Nr. 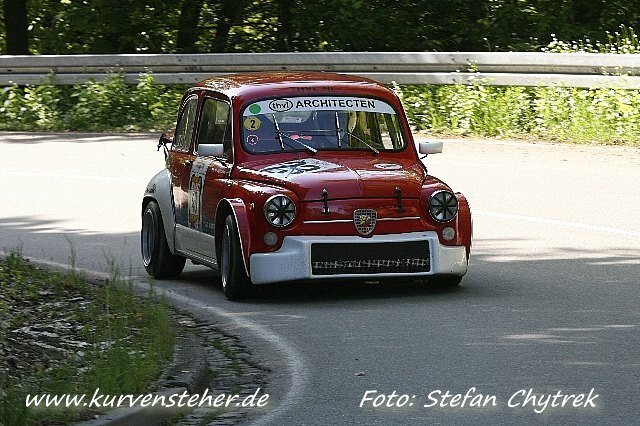 1171/1298 . 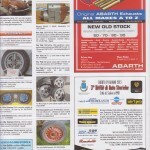 On a regular base we advertise now in La Strada and AMK(AutoMotorTechniek) in Holland and also in Germany with Oldtimermarkt und Praxis.